People with diabetes face a higher risk for influenza and its complications. National and international guidelines therefore advise that diabetes patients be annually vaccinated against influenza. The evidence that underpins these guidelines has long been fragmented and underexposed. 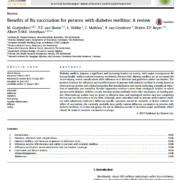 Consequently, attention for the impact of influenza on diabetes patients is low and so is the influenza vaccine uptake in this group, despite WHO’s target to routinely vaccinate 75% of all people at high risk. It was therefore high time to assemble all currently available data about the impact of influenza on diabetes patients and to review current influenza prevention strategies. 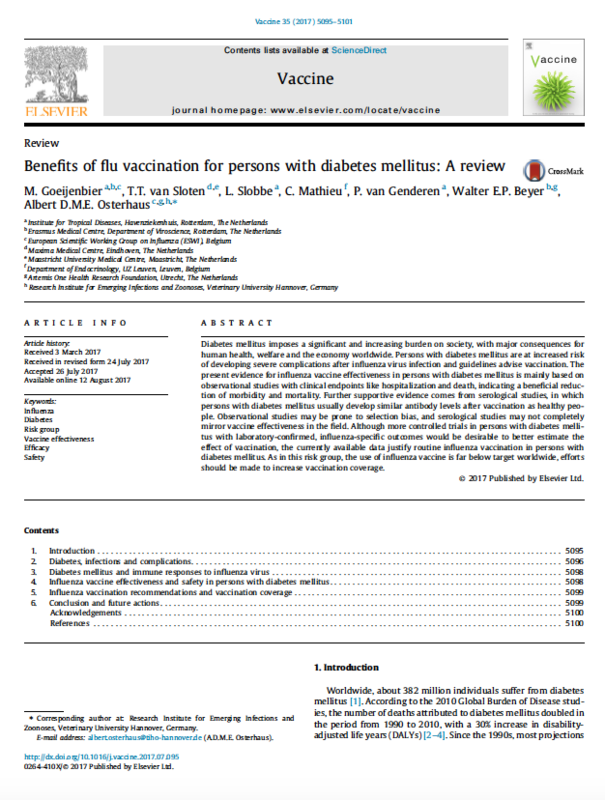 ESWI has undertaken this important endeavour and in its recently paper (published in Vaccine Journal on 12 September 2017), ESWI has reviewed the scientific base for recommending routine vaccination of diabetes patients against influenza.